When you come to NorthPoint Office Furniture for a desk, cubicle, or another piece for your Woodstock, Georgia, business, you can have peace of mind knowing you’ll be receiving a top-quality, cost-effective product. Not only does our family-owned and -operated business specialize in selling affordable office furniture, but we also ensure that our pieces are from trusted manufacturers. This means that you could purchase a desk made by DMI, Global, Martin Home Furniture, HON, Cherryman Industries, Office Source, or another reputable manufacturer without sacrificing your budget. In order to get a better idea of which type of desk will best fit your needs and preferences, we encourage you to visit our 8,000-square-foot showroom. 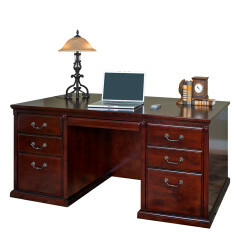 There, you’ll find fully staged displays to help you visualize what our pieces will look like in your office space. If you need any assistance while shopping, one of our friendly team members will be happy to assist you. We’ll take into account the number of employees of your business, the size of your office, your budget, and any other pertinent information to help you select the best desk for your needs. Contact NorthPoint Office Furniture today to learn more about how we can help you furnish your Woodstock, GA, organization. Whether you’re looking for a desk, workstation, conference table, chairs, or something else, it’ll be our pleasure to assist you.